Wheelchair friendly Restaurants in Brighton. 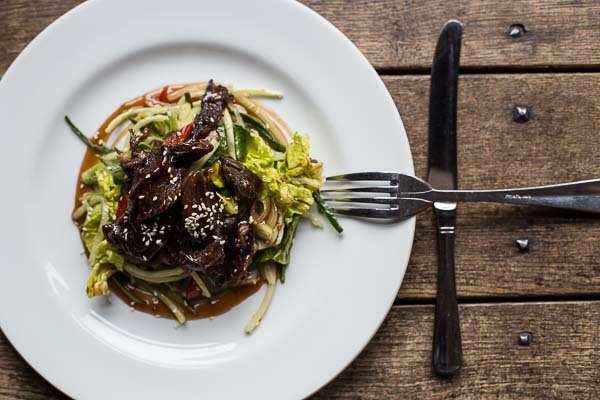 A hand-picked, ever-expanding selection of Restaurant Brighton’s favourite restaurants, in and around Brighton and Hove, which offer excellent food, great service and full access for wheelchair users. 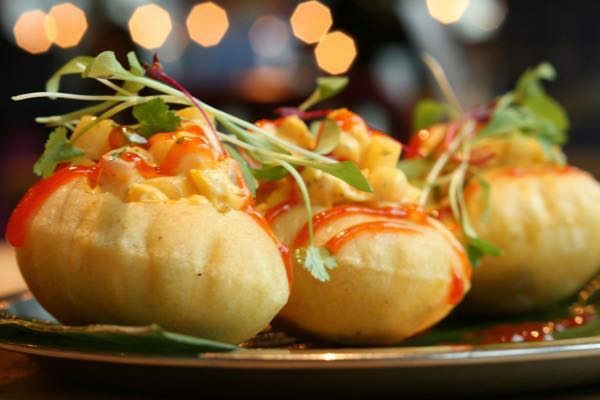 The Chilli Pickle is an incredibly popular, award-winning, modern Indian restaurant located in the heart of Brighton. Here you can share in the owners’ joy of authentic Indian food, inspired by their extensive travels across one of the world’s most diverse and colourful countries. You can enjoy their mouth-watering dishes in the beautiful restaurant, or take advantage of one of the best takeaways in Brighton and Hove via the Chilli Pickle Canteen. Fully accessible to wheelchair and mobility scooter users throughout, including toilets, with no ramps or lifts. 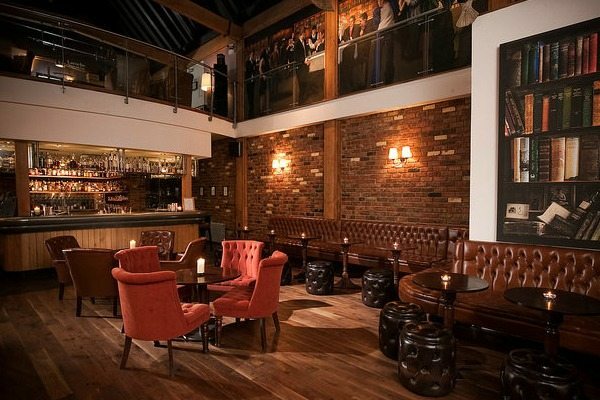 The magnificent Hotel Du Vin combines elegant boutique style with classic French cuisine. 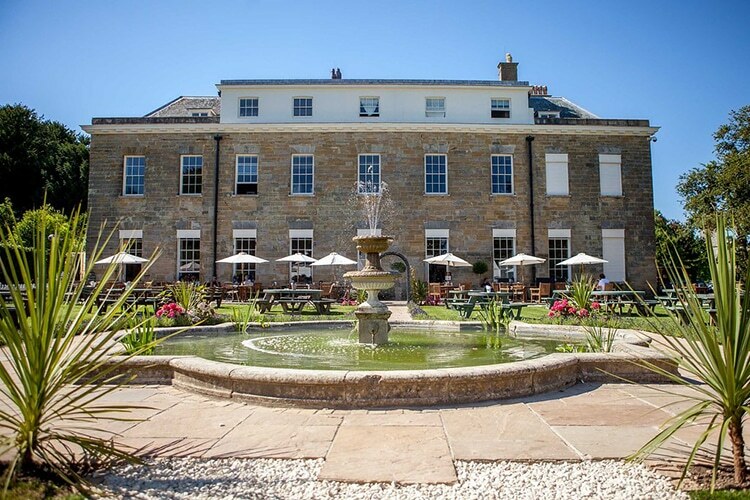 Housed in fairy-tale gothic buildings just a stone’s throw from the sea, Hotel Du Vin is the perfect venue for a special occasion or romantic getaway. The décor oozes class with highly polished dark wood, plush leather seating, soft lighting and abundant shimmering surfaces, and the food is utterly divine. Hands down the best Moules Frites in town! Full bistro service is available to wheelchair users at tables in front of the bar. There are wheelchair accessible toilets, no ramps or lifts and two wheelchair accessible rooms available at the Hotel itself. Redroaster is a ‘go-to destination’ in Brighton, situated at the bottom of St.James’ Street it’s also a stones throw from the beach. Providing ethically sourced, hand-roasted coffee, serving breakfast and lunch prepared by Michelin Starred chef, Matt Gillan. Serving from 7am-5pm, Redroaster is the place to go if you’re looking for a sophisticated brunch. You’ll find modern takes on classic breakfasts such as their crab and avocado brioche with yozu curd. Redroaster have fantastic South facing, floor to ceiling windows which can be opened out completely to create an indoor/outdoor atmosphere. The restaurant is fully wheelchair accessible, including toilets. No ramps but a lift to the first floor. Access to the terrace also allows for alfresco dining with views over the garden. Al Duomo opened as Brighton’s first traditional wood-fired pizzeria 36 years ago and has been bringing us authentic Italian food ever since. With more than 70 years’ experience between them, the senior chefs share a great love of food and source their ingredients from the finest Italian suppliers. Located next to the historic Pavilion, near to the theatres, this is a great place to enjoy a little Italian hospitality before catching a show. Fully wheelchair accessible on the ground floor, with wheelchair accessible toilets. There is a gentle slope to enter the restaurant. Pelham House Hotel is a gorgeous 16th century town house, which has been sympathetically restored to bring a little Georgian splendour into our lives. 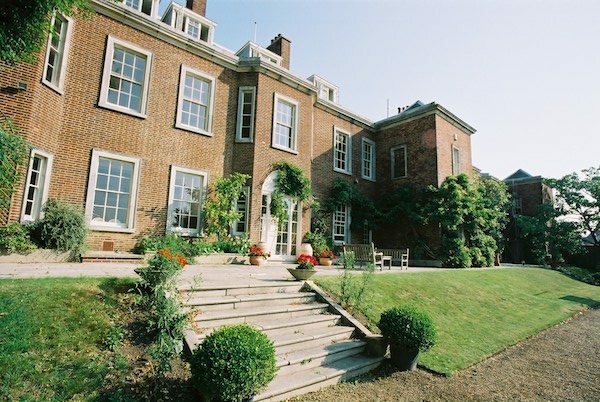 Situated in Lewes, it is just 10 minutes from Brighton by car or by trRestaurant in. Along with luxurious bedrooms, it boasts its own art gallery, a stunning wood-panelled restaurant and a terrace overlooking beautiful gardens. Their focus is on simple, delicious food, using high quality, seasonal, locally-sourced produce. The restaurant is fully wheelchair accessible, including toilets. No ramps or lifts. Access to the terrace also allows for alfresco dining with views over the garden. Located just north of Henfield, this traditional style pub welcomes the whole family (including the dog!). With plenty of space and a delicious menu specialising in freshly baked pizza we think this is a venue that will please the kids and adults alike! 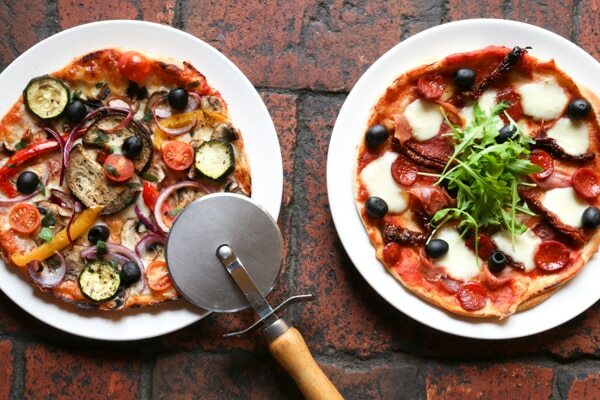 The Bull is popular for it’s freshly made to order pizzas that are stone baked in a traditional oven. With over 20 different toppings to choose from, you can mix and match to your heart’s content! If pizza isn’t your thing then you could go for a pasta dish, ribs or one of their burgers with homemade coleslaw… or maybe skip straight to dessert! The spacious beer garden is an ideal space to dine al fresco during the summer months or just to relax & enjoy a drink. The restaurant and toilets are wheelchair accessible. 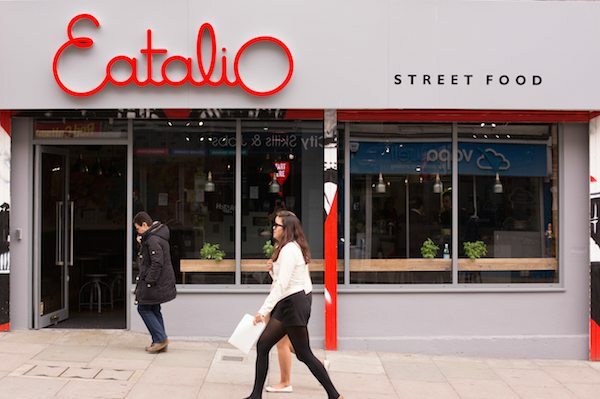 Eatalio is a “fast-food” restaurant with attitude focusing on simple but brilliant Italian street food. The décor is fun with graffiti on the walls and wacky lighting, and the big open seating area and large windows make it bright and cheerful. 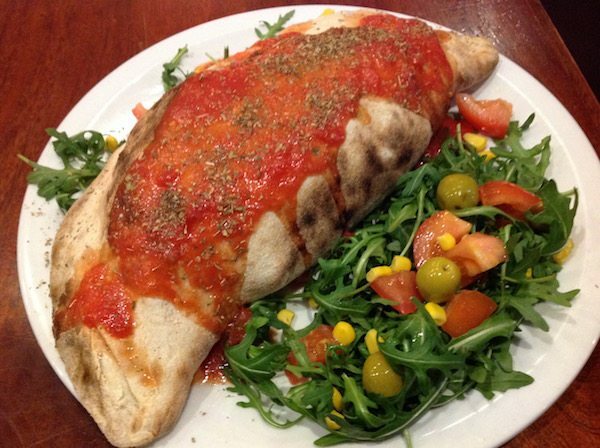 Customers select a base of piada (Italian flat bread), pasta or salad, then add meats, vegetables and sauces from a fantastic array of high quality fresh ingredients. Simple, wholesome and utterly delicious! Fully wheelchair accessible, including toilets. No ramps or lifts. 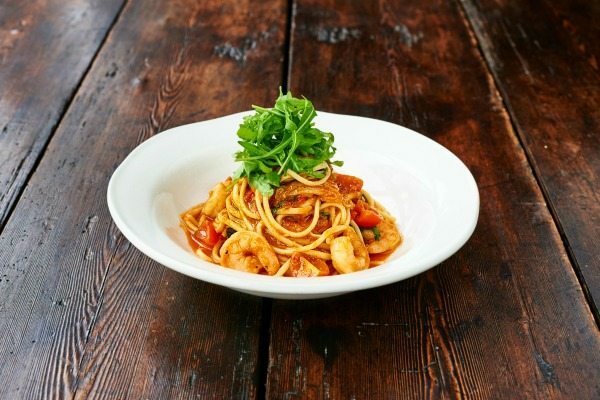 Aqua is a family run business that’s opened up in the heart of Lewes, it serves contemporary authentic Italian food in a stylish yet relaxing environment. Affordable prices and using only the best produce, Aqua serve breakfast, lunch and dinner 7 days a week including Sunday roasts, so there’s something for everybody. 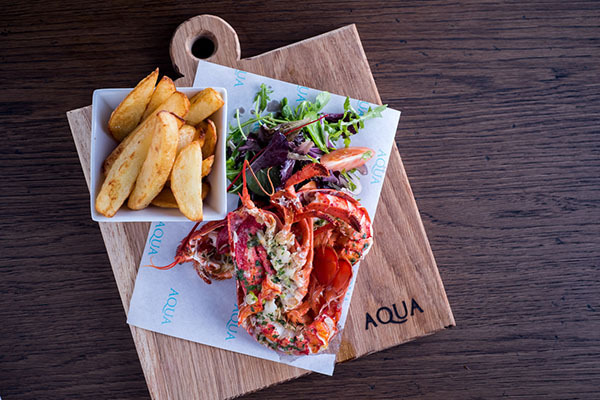 Aqua are completely wheelchair friendly from both entrances of the restaurant and have a disabled toilet. There is public parking behind the restaurant, after 5pm midweek it’s free. This original 250-year-old barn, just 15 mins outside Brighton in Burgess Hill, has been lovingly restored and is now a family-run bar and restaurant. Boasting oak floors, old Sussex sandstone, authentic wagon wheel chandeliers, and an inglenook fireplace, it is cosy and inviting. They pride themselves on their high quality English “fayre” with a modern twist, all freshly prepared to order, using only the finest local produce and ingredients. The restaurant and toilets are wheelchair accessible. There is a single step to access the function room, which can be bridged using a portable ramp. The only areas without wheelchair access are the upstairs gallery and the courtyard. 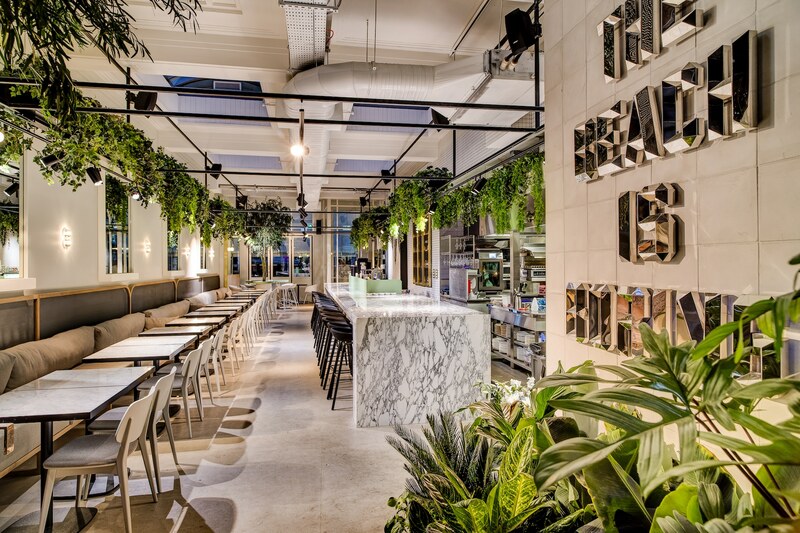 Ten Green Bottles is a stylish wine bar and shop in the recently modernised Jubilee Street in Brighton. 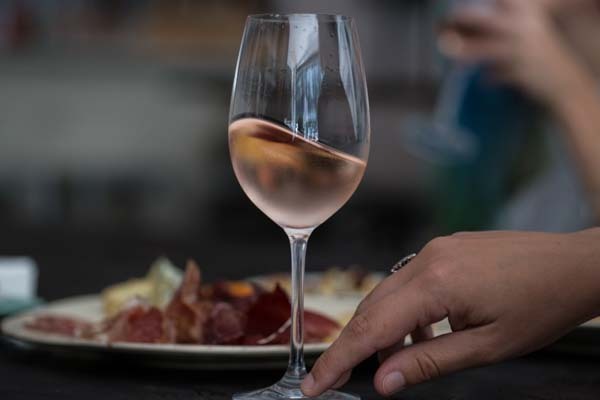 Pop in for a glass of your favourite tipple or go along for a private wine tasting where the friendly staff will share with you their wealth of knowledge in a fun and informative way. To keep you going they serve top notch nibbles, light bites and sharing platters, including a fantastic selection of cheeses and charcuterie. Fully wheelchair accessible, including toilets. Jamie’s Italian in Brighton is part of a wildly successful 40-restaurant worldwide empire. Inspired by Jamie’s passion for all things Italian and encouraged by friend and mentor Gennaro Contaldo, their menu is rooted in authenticity. They’re all about fantastic, rustic dishes created using tried and tested recipes and the best possible ingredients. With a funky décor and a buzzing vibe, they provide delicious and affordable food with warm, friendly service. The ground floor is fully wheelchair accessible. The toilets and second floor dining area are accessible by lift. The fantastic Old Bank in the heart of Kemptown is an unabashed carnivore’s playground. Steak and ribs, lovingly cooked over an open flame grill are what it’s all about here, though there are vegetarian options for accompanying herbivores. High ceilings, wooden floors and large windows make the restaurant light and airy with a nod to the American diner. If the weather is nice you can enjoy your meat feast amongst the blossom in their lovely courtyard. Fully wheelchair accessible, including toilets. The courtyard is also accessible via the alleyway. 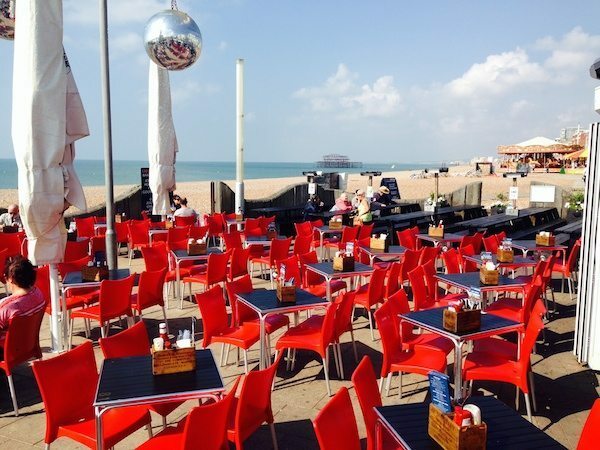 Locations don’t get much better than this as OhSo Social is in a prime spot on Brighton’s famous seafront. 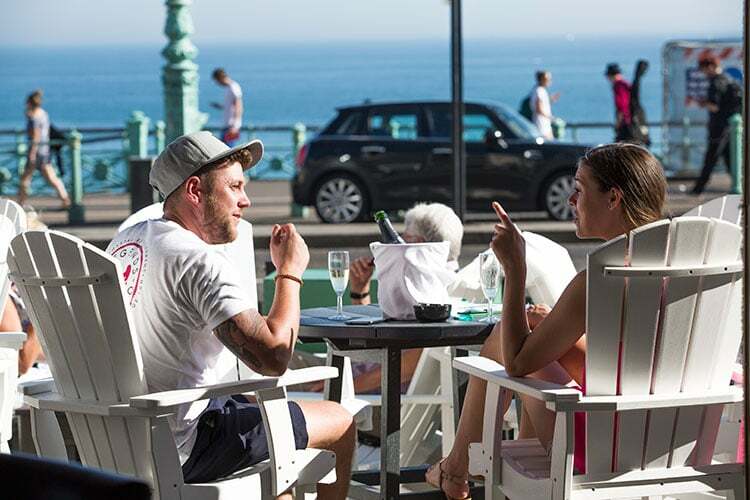 Situated at the bottom of East Street at the foot of the historic Lanes, you will find this alfresco dining hotspot in between the two iconic Brighton piers and the nearest car parking can be found in the Lanes Car Park on Black Lion Street. OhSo transforms from a cafe and coffee spot by day to a popular evening venue, with many people gathering to watch the sunset behind the sea whilst enjoying a cocktail. Fully wheelchair accessible, including toilets. Access to the venue is via a pathway along the beach. Steak on Sea is a modern restaurant and bar situated at The Old Ship Hotel on Brighton’s seafront. 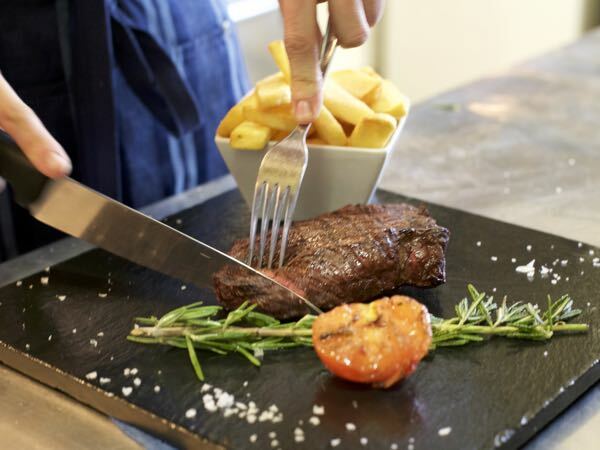 Enjoy British and European cuisine with an a la carte menu in the restaurant, or for a more casual dining experience, there’s the Steak on Sea bar where you can take advantage of their terrace on a sunny day. The restaurant and hotel are wheelchair friendly and there’s plenty of friendly staff around to help if needed. The information provided in this feature is intended as a guide only and is, to the best of our knowledge, correct at the time of publishing. Please contact venues for further details or to double check information.